Here’s a disc of some of our more playful music for this excellent library company. Visit our store! There are amazing and amusing shirts, mugs, a few clocks and even a tie. People love the tie. Twenty percent of the net goes to charitable causes. 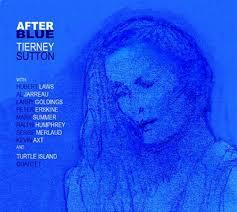 Tierney Sutton’s superb Grammy-nominated album features Julie’s string quartet arrangement of Joni Mitchell’s “Little Green”. 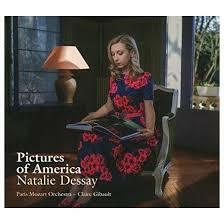 World-renowned opera star Natalie Dessay sings a collection of songs, each linked to a classic American artwork. Another of Julie’s beautiful string quartet arrangements accompanies Ms. Dessay on “A Place That You Want to Call Home”. 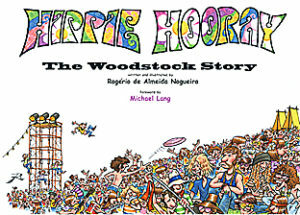 Brazilian artist Rogério Nogueira has brought us the excitement, humor, drama and color of Woodstock in this amazing book; it’s a must-have for your coffee table! Mr. 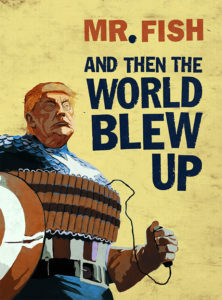 Fish is a bitingly original artist and satirist and a heck of a cool guy. 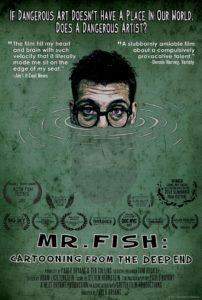 A recent 5-star review stressed “the importance of sharing Fish’s undeniable talent and what’s more, his crucial voice in a global society endangered by cruel and corrupt political agendas which pander to patriotism and silence opposing voices.” Dig it. To support Mr. 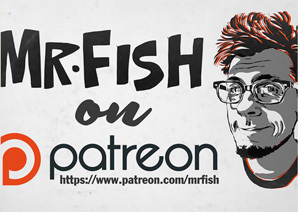 Fish in his work, visit his patreon site. With a contribution, you’ll have access to his blog posts and other cool stuff. He’s an important voice. Give him a hand–not applause…CASH. Now available on iTunes and Amazon! The critics can’t be wrong…well, they can, but in this case they’re definitely not wrong. They’re decidedly right. Watch this! Here’s one of Mr. Fish’s books. His writing and his art reside together in a radical neighborhood of… Oh, that is a terrible metaphor. But it’s a GREAT book. Get it.